I confirmed New Delhi's Indira Gandhi International (IGI) Airport deserves to be named the World's Most Improved Airport in 2012. Indian Prime Minister Manmohan Singh addressed at the 8th India-Asean summit last October 30th of 2010 in Hanoi that there will be visa on arrival facility to nationals of Cambodia, Vietnam, Philippines and Laos, to be implemented starting January 2011. Tourist-visa-on-arrival for Filipinos shall be granted by the Immigration Officers at Delhi, Mumbai, Chennai and Kolkata airports and shall be valid for a maximum of 30 days with single entry. This visas are non-extendable, non-convertible and shall only be allowed for a maximum of 2x in a calendar year with a minimum gap of 2 months between each visit. Those who will be allowed to avail of the program have to have valid passports with at least 6 months validity; those only visiting for the purpose of tourism, and visiting friends and relatives; and those who have fulfilled all other criteria for grant of normal tourist visa to India such as assured financial standing or having produced confirmed return ticket or a ticket for onward journey within 30 days of arrival from India, and proof of availability of sufficient funds to spend in India. Those who will be availing of this program have to bring with them passport size photographs, a photocopy of their passport, and US$60 or an equivalent amount in Indian Rupees. 1. never ever give large bill - I apologize to say this but its true, they are corrupt, they are not honest on their job. Though it's just minimal amount, still, its not right. Just like what happened to me. When they asked for my payment of 3,040 INR (equivalent of $60), I handed over 3 pieces of 1-thousand bill and 1pc 500-bill. Initially, they are pretending they don't have any smaller bills to give as change. I pretend also I don't know what's the meaning of their stupid gesture. 2nd time, I asked again for my change. They showed all bills inside his pocket and pretending he doesn't have smaller bills, obviously he has. I'm keen and very observative on this act and the Immigration officer saw me seriously starring on the bills he showed up that is why he handed over 3 hundred rupee bill. After that, I innocently count again my money infront of his desk and told them I had still not enough change. He finally handed-over another 1-hundred bill rupee and spoke in loud manner he has nothing at all, go on. I innocently left him since its just 60 rupee, treating it as a tip for his good governance. 2. they will give a short interview - with hidden agenda how much you have got and how can they used their sly objective on you. Like my case, why did my visit is only on weekend, I told them just want to see taj mahal, that's all. Then suddenly asked how much I earn. Thinking it would affect the process I answered with conviction I have excellent salary. Asked again why am I still single, I told them I don't have yet enough money. Then why you told me you have excellent salary, I replied my salary is not enough for myself. I love to travel and marriage is not yet in my priority list, in an instant he became silent. In just 10 mins after filling up the form and the payment, I had my visa stamped for 6 days validity. .. hi viewing deck, found your blog thru google and i'm also an ofw based in ksa. were you not questioned on your airport of origin? i'm asking this because i'm planning the same trip late this year and i will be coming from dammam or bahrain. hello, I came across your blog while googling images for Visa on Arrival. 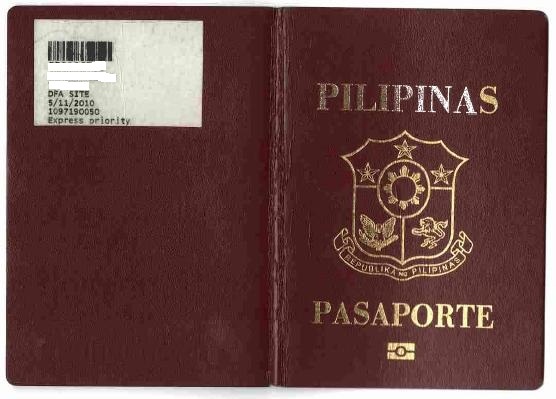 so, for those carrying Philippine passports, the Visa on Arrival is actually just a stamp with the date of entry and date of expiry (and not the usual sticker type visa)? also, is it normal for the immigration officer to not grant a 30 day tourist visa by default (since you mentioned that you were given a 60 day visa). thanks in advance! Hi viewing deck,,im just wondering if they'd ask you to show your bank statement as proof of your sufficient fund,aside from the passport and photo plus the fee of $60?